The line of blue infantry crested the hill just as the officers gave the order to halt. Men caught their breath and then looked to their weapons in anticipation of resuming the fight. As his men enjoyed a few minutes of rest, Maj. Gen. Joseph A. Mower took stock of the situation. A veteran of Corinth, Vicksburg and the Red River Campaign, Mower had watched as his division shattered the thin Confederate left flank. He was now well beyond the Union position. Mower stood poised to push even farther and inflict more damage in the enemy’s rear. Through the course of the attack, his brigades had lost cohesion, and he had been forced to break off the advance. The pause was fatal. Suddenly, in the distance, a line of infantry in ragged gray and butternut appeared, bearing down on their foe. Mower’s opportunity had withered away. Formed from headwaters that flow through four states before passing the United States capital, the Potomac River has rightfully been called the Nation’s river. First used as a highway of exploration and settlement by European settlers, the river famously served as an avenue of invasion by British forces during the War of 1812. Forgotten today, between Spring 1861 and early Spring 1862, Confederate batteries effectively stopped all riverine traffic. While the Confederate Blockade of Washington, D. C., never realistically put the fate of the city in doubt, it severely embarrassed the Lincoln Administration, particularly during a time of repeated Union disasters. In the late spring of 1863, the situation was growing increasingly dire for the embattled Confederate bastion at Vicksburg, Mississippi. Union General Ulysses S. Grant’s Army of the Tennessee, after audaciously cutting its supply lines to live off the land, had maneuvered some 31,000 Confederate soldiers into their earthworks at Vicksburg and was slowly starving them into submission, with unfettered access of the Mississippi River as the prize. There’s a special thrill seeing a Civil War battlefield for the first time. We’ve done several issues on Arkansas, but they were all in the western part of the state: Pea Ridge, Prairie Grove, action in and around Fort Smith. One exception was a brief stop in a field near the defunct Civil War town of Mound City, a short distance north of Memphis on the Arkansas side of the Mississippi River. There a soybean farmer and a Memphis attorney located the buried remains of the illfated steamboat Sultana. It was part of a 1990 “General’s Tour” feature. Civil War campaigns in and around Fredericksburg, Va., required an advancing army first to jump the Rappahannock River. As a consequence, river crossings loomed large at the Battles of Fredericksburg and Chancellorsville. At Fredericksburg in 1862, the pontoon bridge sites became the initial points of contact and men died as engineers struggled to build their floating bridges under fire. The hard lesson was that bridges were best built when an army controlled both sides of the waterway. During the Chancellorsville Campaign in 1863, the Union army again crossed the Rappahannock at Fredericksburg, but sent assault forces over first to seize the opposite shore before the bridge building began. These crossings in the tidal part of the Rappahannock River were a diversion from the advance of the main Union force, which occurred far upstream. Where the upriver fords remained usable and lightly picketed, an advance guard could splash across and secure the crossing site. Some fords, however, had become altered by dams and canals, and establishing military crossings there posed additional challenges. 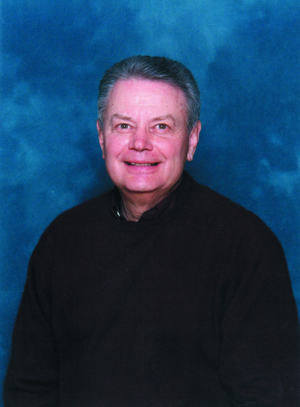 Wiley Sword was a good friend and confidant, and I am proud to have been his editor and publisher on numerous projects. His passing in November was a shock and surprise. Recent heart surgery had been successful and he said he felt the subsequent complications had been resolved. I figured a brief lapse in communication was because he was back on the golf course, or writing, collecting war letters, and just enjoying life. He will be missed. 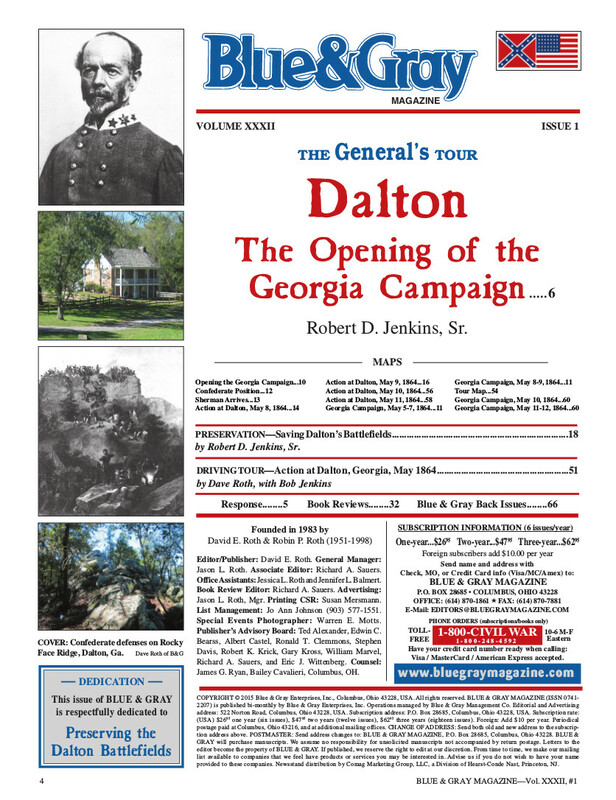 When he stepped off the train at the Western & Atlantic depot at Dalton, Ga., on the evening of December 26, 1863—the same depot where telegraph operator Edward R. Henderson tapped out the dispatch that would eventually lead to the capture of the Andrews Raiders in April 1862—the newly-appointed Confederate commander, Gen. Joseph E. Johnston, considered his new assignment. Asked to take over the helm of the South’s second largest army, restore its morale, and advance it once again into Tennessee to take the initiative in the Western Theater and recover lost territory, Johnston was doubtful. He believed his Commander in Chief was asking the impossible.